Eleanor is the Chief Growth Officer at Talenta Group, a blockchain & ICO consulting firm. She is also co-founder of Symphony, a next-generation blockchain platform to empower a data-driven economy. Previously, Eleanor served as Director of Digital Leadership for The Coca-Cola Company, supporting the company’s digital transformation. 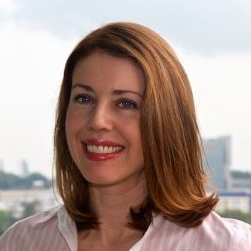 Previously, she held a variety of roles at Coca-Cola in Strategy & Planning and Customer leadership, both across Asia Pacific and ASEAN. Eleanor holds an MBA from Emory University and a BA from University of North Carolina at Chapel Hill. Check out the incredible speaker line-up to see who will be joining Eleanor.